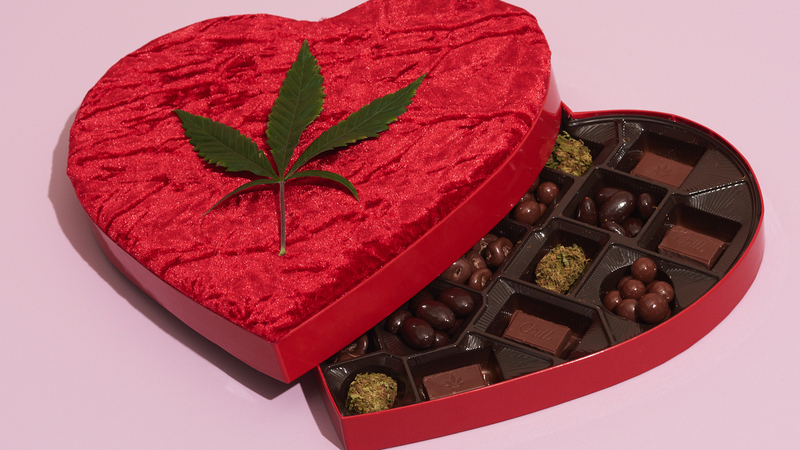 A dozen chocolates in a heart-shaped box is a classic Valentine’s Day gift, sure, but with recreational cannabis legal and readily available in various states, why not shakes things up with a little DIY CBD candy? Your loved one is bound to appreciate a delicious treat that you made all by yourself, and the delight factor should obviously increase if said treat contains a little something to help chill out or put anxiety at ease. Studies show that CBD can offer a variety of therapeutic benefits. It relieves stress and alleviates chronic pain. With easy-to-use tinctures available at your local MedMen marijuana dispensary, you can add some cannabis wellness to almost anything—yes, including candy. All you need to do is pretend you’re a contestant on Sweet Genius, summon the power of Duff Goldman, grab your MedMen CBD tincture, and get to work. This recipe will show you how to make heart-shaped candy. You can use either non-psychoactive CBD or THC if you’re aiming to whip up something more potent. The main tool you’ll need for infused candy-making success: a 24 cavity silicone candy mold, which you can buy from Amazon or at most craft stores. Depending on the mold, this recipe should yield about 6 to 7mg of CBD per candy. Spray molds lightly with cooking spray. Combine sugar, corn syrup, and water in a medium saucepan over medium-high heat. Stir, allowing sugar to completely dissolve. Insert a candy thermometer into mixture. Once thermometer reaches 300 degrees, remove the pan from heat. Add in and stir extract, 1 tsp. food coloring, and 2 tsp. CBD from the tincture. Carefully pour into molds. Let cool until candies completely harden, about 20-30 minutes. Remove candies from molds. Store candies in an airtight container in a cool, dry place. Enjoy! Looking for another tasty treat? Try our cannabis chocolate recipe!